November 3, 2016 (Oswego, NY) – Eleven local nonprofit groups received grants totaling $27,286 from the Oswego County Community Foundation (“OCCF”). Annie Porter Ainsworth Memorial Library received $850 to provide free early-childhood summer art classes to help introduce and expose community youth to fine arts. Center for Instruction, Technology & Innovation (CiTi) received $3,325 to support the continuation of its Breakfast and Lunch for Weekends and Crisis Food/Hygiene Support projects. 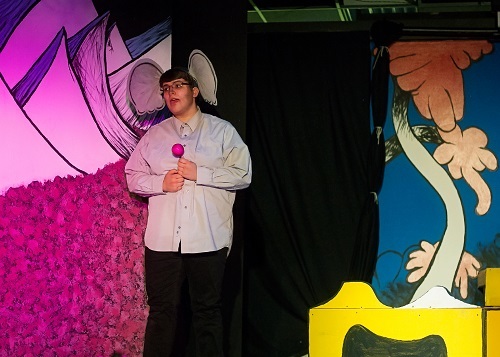 CNY Arts Center received $3,000 to purchase and install fire retardant, noise reducing blackout curtains to meet fire safety standards for the Center’s performing arts space. 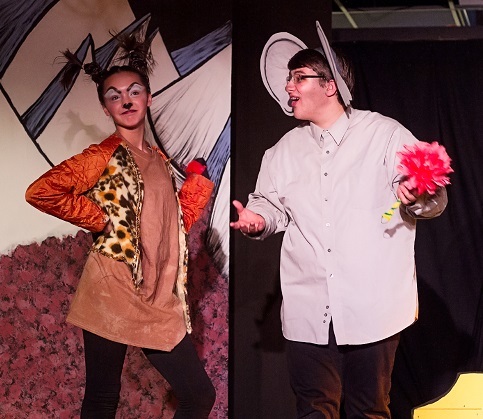 Scenes from CNY Arts Center production of Seussical, Jr.
Friends of Fulton Parks received $2,250 to support the installation of accessible pathways to Recreation Park as part of its Recreation Park Revitalization Project. Fulton Family YMCA received $1,725 to purchase supplies to help expand its Girls Rock program, which seeks to promote positive self-image, skill-building, teamwork and community engagement. Fulton Jazz Festival received $2,500 to expand its 2017 festival to include an educational programming component with group classes for students and workshops for music educators. Girl Scouts of NYPENN Pathways received $1,600 to support the College Life 1-Day program in collaboration with Cayuga Community College’s Fulton Branch to help ninth and tenth grade girls in Oswego County prepare for college explore college opportunities. Fulton Kiwanis Recreation Association received $2,250 to complete renovations to its Kid Haven clubhouse to ensure secure storage of maintenance and sports equipment and to build a handicap-accessible bathroom. Oswego County Historical Society received $3,100 to upgrade outdated display room lighting in exhibit galleries to protect and preserve archival collections. Oswego County Pioneer Search and Rescue received $2,784 to purchase new handheld receivers for the Project Lifesaver program, which seeks to help locate missing high-risk youth and adults with dementia. Oswego Health Foundation received $3,902 to purchase equipment, teaching aids and educational materials to support its Community Health Plan. The Oswego County Community Foundation, created in 2013, is a geographically specific fund created to serve as a source of permanent charitable dollars available to nonprofits serving residents of Oswego County. 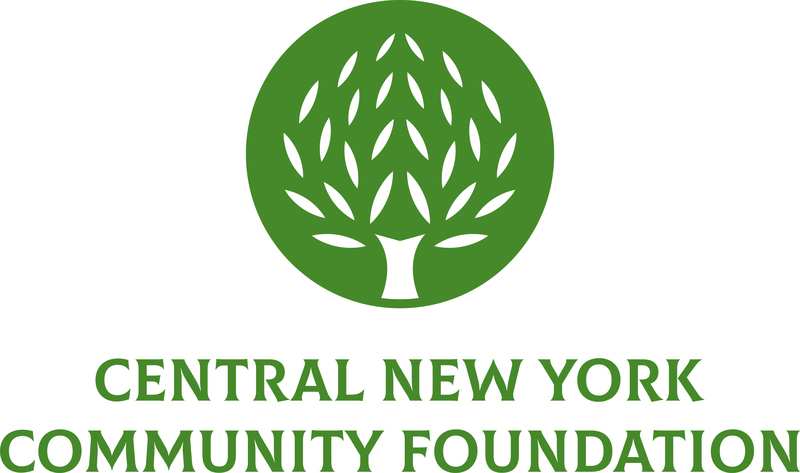 Grants are awarded from the endowment fund annually to aid vital programs in education, health, social services, the arts, civic and environmental concerns, as well as the preservation of historic resources in Oswego County.